The world-famous “TED Talks” have set a new standard in presentation skills. 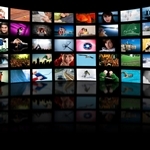 Many of the techniques of TED presenters can be adapted for online use, even in shorter presentations as part of online meetings. Learn from the best TED Talks, and adapt these techniques to make your next online meeting zing! Join me in this webinar, hosted by Logmein (the people behind GoToWebinar, GoToTraining and GoToMeeting), as I share the secrets of the best TED speakers, and show you how to use them in your online meetings. All of these techniques apply just as well to in-person presentations. So if you make any presentations at all, come along to this webinar and learn how to take your presentation skills to another level. The world-famous “TED Talks” have set a new standard in presentation skills, and many audiences expect far more now from presenters. This can be a challenge for online presentations, because some of the techniques that work for a TED Talk don’t work in online presentations. But you can still learn from the best TED Talks, and use or adapt these techniques to make your next online presentation zing! 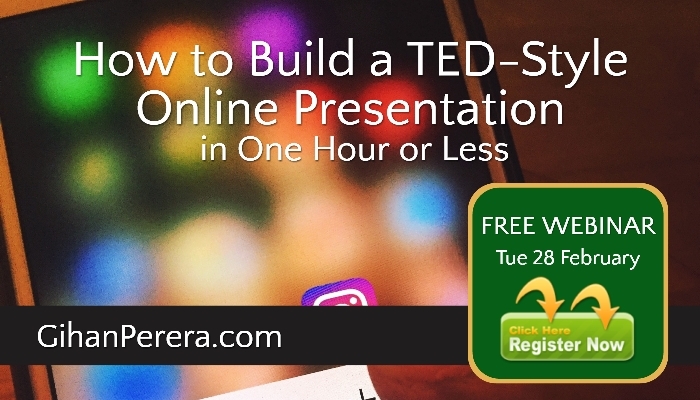 Join me in this webinar, hosted by Logmein (the people behind GoToWebinar, GoToTraining and GoToMeeting), as I share the secrets of the best TED speakers, and show you how to use them in your online presentations. All of these techniques apply just as well to in-person presentations. 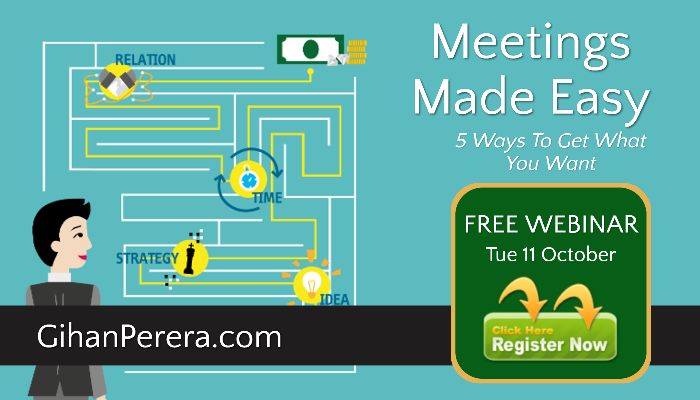 So if you make any presentations at all, come along to this webinar and learn how to take your presentations to another level. The workplace – and what employees want from it – has changed over the years. The standard workplace of the past was an office with everybody working the same hours, at the same time, in the same place, focussed on the same goals. Modern workplaces are different, with distributed teams working from different places, in different time zones, and with different motivation. Leaders who understand the needs of their distributed teams members will increase productivity, retain the best talent, and achieve their personal and professional goals. 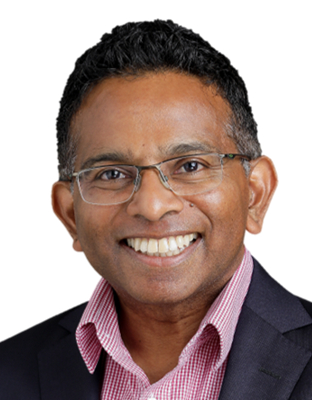 Join Gihan Perera, futurist and author of “The Future of Leadership”, as he shares the key principles for nurturing talent in a distributed team. 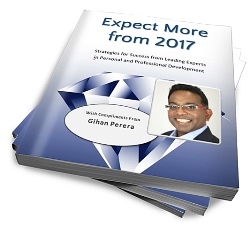 At the start of each year, I invite my clients to contribute a short article to an e-book full of tips and strategies for success in your personal and professional life. Meetings cost organisations thousands of dollars in lost productivity every year. The problem is not with the meeting itself, but with the way the meeting is run. The good news is that it doesn’t take much to organise, chair or participate in a meeting where you get what you want – in less time and with less effort. Have you ever sat through a presentation with boring PowerPoint slides? Of course you have! But the problem is not with PowerPoint, but with the way the presenter used it. One of the most important factors in the success of your presentation is the design of your slide deck. Text-heavy slides and bullet lists bore your audience and you lose their interest. That’s why you must design engaging visuals that grab attention, keep them interested, and enhance your message. In this webinar, I’ll show you simple tricks to make your presentation more professional and engaging through creative and effective slides. 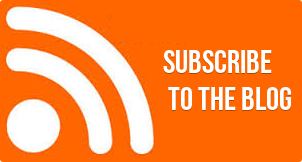 Little-known PowerPoint features that turn bullet lists into attractive graphics – in seconds! 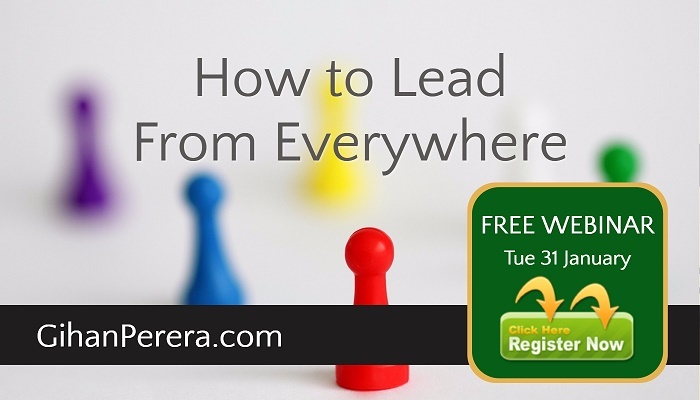 This webinar will be recorded, and the recording will be available to everybody who registers. Are You Ready for Generation Z In Your Workplace?